Graduate student in Food Science at the University of Tennessee. 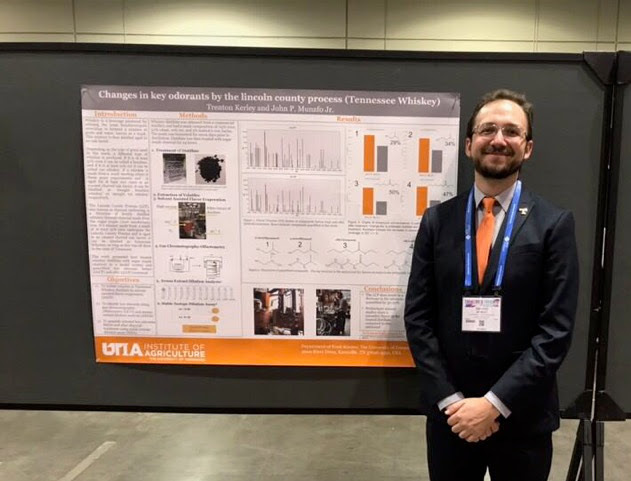 His research focus is the chemistry of whiskey aroma; his work on Tennessee whiskey was recently featured in Scientific American's 60 second science podcast. Other than whiskey, his favorite drink is a stout. Beer: How'd that get in my glass? Beer is one of the oldest and most popular drinks in the world. This talk will go into how beer is made and delve into what differentiates one style of beer from another. Snakes, as scary as they may seem, are amazing creatures. However, across the US, they have been infected with a deadly fungal disease. Last year, I spent time catching snakes to better understand this disease and look for a way to fight it. Though I also gathered microbial samples, I gathered a new appreciation for these special serpents!